Choose from Europe's largest selection of modern pool dining tables. Straight edges, clean lines, and stylish designs to complement your interior space. Modern pool dining tables have quickly become one of our most popular ranges of pool tables. Our pool dining table designers and manufacturers understand that not all homes have the space for both a pool table and a dining table. With this in mind, they have created a range of pool tables that can double as a dining table, saving you space and money while offering a creative and modern-looking piece of furniture. Our range of Modern Pool Dining Tables is selected to give you the opportunity to choose a fantastic table that not only allows you to play a great game of pool and use it as a dining or work surface, but fits in with a modern décor and complements the look of your room. 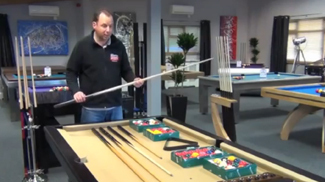 Visit our Pool Table Showroom to look at a superb collection of modern pool diners, try them out and get some first hand advice on the right one for you. Pool dining tables are an affordable luxury that are priced in the same realms as a regular dining table. All of our modern pool dining tables come complete with a 3/4" pool table slate bed playing surface which gives you a professional standard gameplay in your own home. All of our modern pool dining tables come with a fitted top so that you can use them for family meals and as a piece of furniture. Every pool dining table is fully bespoke allowing you to choose both cloth and finish to match your décor. This customisability ensures that you can get the very best pool table for your space, fitting in with a style or colour scheme, or creating a centrepiece for a brand new style in your home. We carry all the top brands available in the market today. There is a thriving community of UK based manufacturers which have been in the industry for years. We also sell pool tables from all around the world, coming from Spain, Italy, France, and the USA.